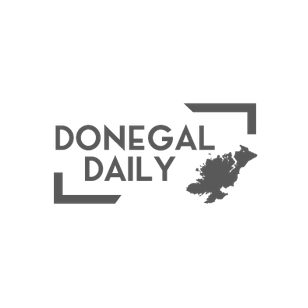 LOGANAIR is lending its support to the arts both sides of the Irish Sea after coming onboard as a lead sponsor of the Transatlantic Sessions – key performances at both the IMBOLC Festival in Derry and Celtic Connections Festival in Glasgow. The two events are the most recent music festivals across the UK to be supported by the airline. Sponsorship of such festivals is synonymous with Loganair, who already support Tiree Music Festival, Orkney’s St Magnus Festival and Folk Festival as well as HebCelt in the Western Isles. Loganair recently commenced air services between Derry and Glasgow, offering up to five flights per week. to keep both cities connected. First aired in 1995, the original Transatlantic Sessions TV series featured performances by various leading folk, bluegrass and country musicians from both sides of the North Atlantic, playing music from Scotland, Ireland, England and North America. This year’s line-up includes Nashville-based New Yorker Gretchen Peters, Tim O’Brien, whose own new release, Where the River Meets the Road, covers songwriters from his native West Virginia and first ever female IBMA Awards Guitar Player of the Year, 25-year old Californian wunderkind Molly Tuttle. With Shetlander and fiddle virtuoso, Ally Bain, co-directing, the group also has a Northern Isles influence, a region of Scotland which is perhaps one of the most well-known to be served by the airline. Performances will take place in Glasgow’s Royal Concert Hall on February 1 and 3 before the production embarks on six date UK tour. The musicians will then take to the stage in Derry’s IMBOLC Festival on February 9 at the Millennium Forum.